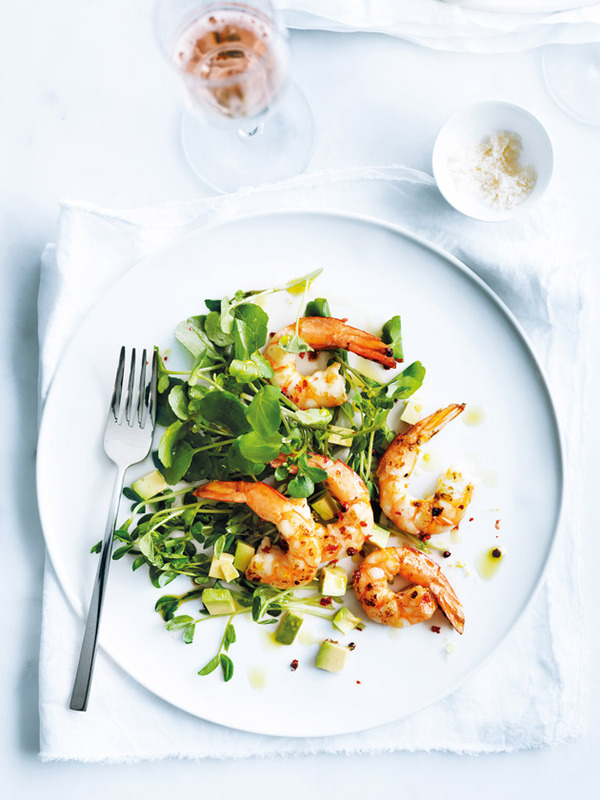 Place the prawns, garlic, 1 tablespoon of the lemon juice, the olive oil and salt in a large bowl and mix to combine. Heat a large non-stick frying pan over high heat. Add the prawns and cook for 1–2 minutes each side, or until golden and cooked through.